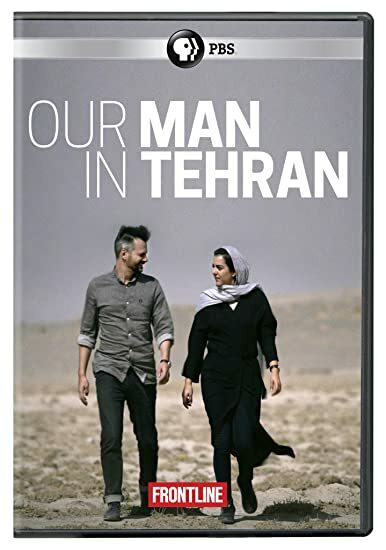 Our Man in Tehran - BUY THIS ON DVD! FRONTLINE presents Thomas Erdbrink's rare and fascinating account in a 4-hour journey into the private world of Iran, revealing the people and the country in a way never before seen on U.S. TV. The series offers surprising encounters inside the closed society of Iran, as Erdbrink gets Iranians to reveal the intricacies of their private worlds and the challenges of living under theocratic leaders. THEN SEND IN YOUR NAME, ADDRESS AND FIVE COMMENTS TO contests@efilmcritic.com orWeLoveHBS@aol.com. (Just one e-mail please.) Put "HOW MANY MEN WE HAVE OVER THERE?" in the subject line and cross your fingers. We will draw names and one of the prizes from PBS will be yours. Only 1 entry per household.